f you start researching places to eat barbecue in Lisbon it won’t take you very long to discover Frangasqueira Nacional, which is widely touted as the best place in town to eat grilled chicken. 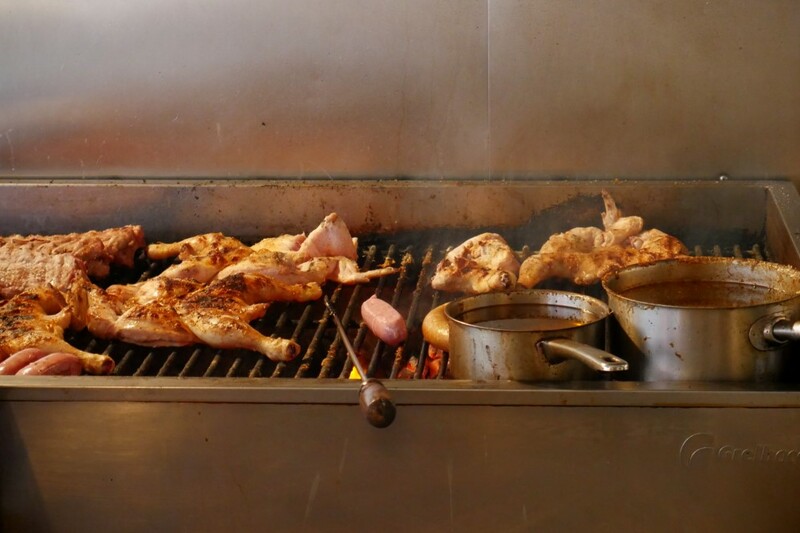 Attempting to quell sky-high expectations before arrival, you walk in and notice that the grill occupies a similar amount of real estate as the customer waiting area which provides a good insight into the level of importance afforded to the chicken. When it came to ordering, I couldn’t resist adding a couple of the local sausages to my meal, along with the half-chicken and a small portion of the homemade potato chips, before settling back to watch a master at work. It’s always a pleasure to watch someone who works a grill daily, with years of accumulated knowledge and experience making every move look effortless, with a sixth sense for the different heat zones and the tiny adjustments needed to cook each individual piece of meat to perfection. And that’s precisely how it goes here, with the chicken being gradually snipped into serving sizes with what can only be described as giant meat scissors before returning to the grill until each piece is crispy and juicy and delicious. It then gets a liberal dousing of piri piri sauce before getting sealed up and placed in a bag with the rest of the meal for easy transportation to the nearby Jardim do Príncipe Real. Without wishing to add to the hype, this chicken really is quite something special and will have you picking over the bones looking for any last morsels and the sauce is a delight. Spicy, but by no means overpowering, it gives every mouthful a punch of flavour alongside the charred skin and marinated chicken. The traditional alheira sausage, in particular, makes a great accompaniment with a subtly smokey flavour and a texture that is just begging to soak up the juicy deliciousness in the bottom of the tray. Even the potato chips are worth writing home about, with a small portion bursting out of the box and adding yet more crunch to the meal – the herby seasoning meaning you’ll always have room for one more. 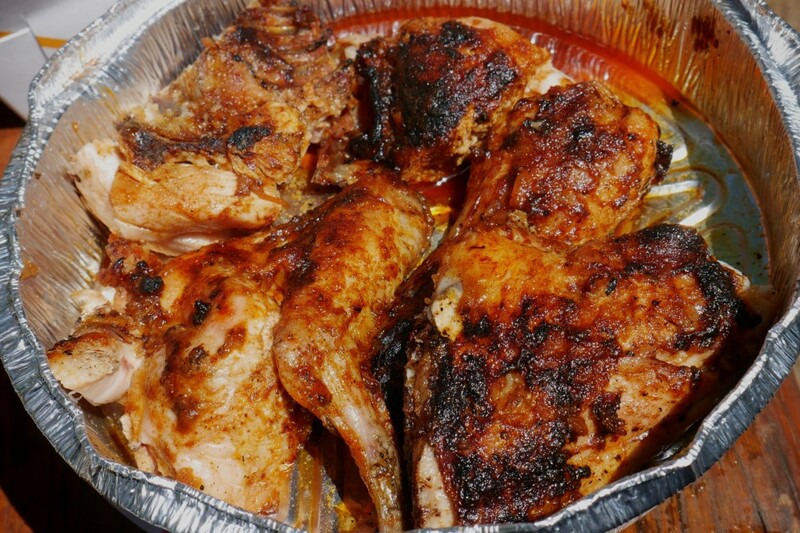 This is definitely authentic piri piri chicken. Try it!